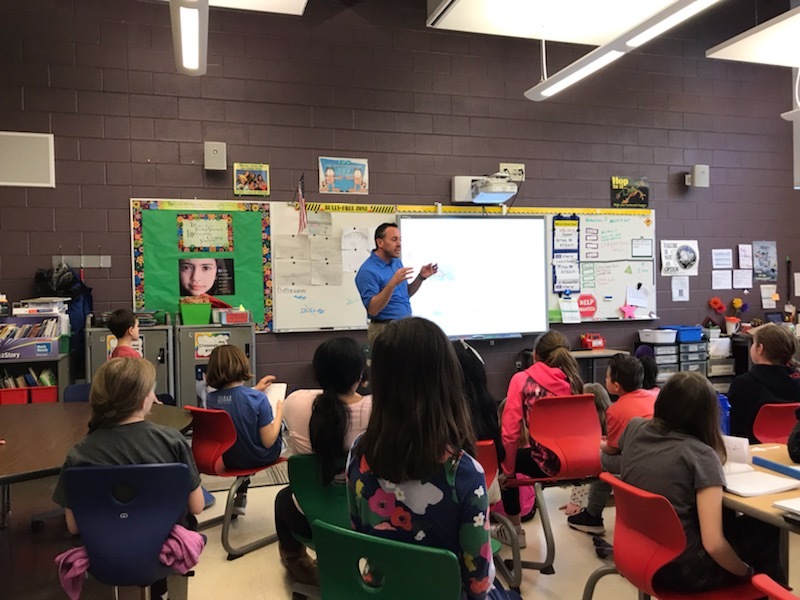 Jeffrey Ehrhart, PE, Director of Transportation Design, visited 4th grade students at Ben Franklin Elementary School in Glen Ellyn, IL where they’ve been learning about bridges. Josie Ehrhart, Jeffrey’s daughter, was assigned a project to drive with her parents around town and sketch five different bridges that she saw. What started as an assignment for Josie turned into a great opportunity to give back to the school. Jeffrey spent the afternoon showing the students different types of bridges, what they’re used for and how each bridge accounts for loads differently. The students were especially entertained by the crab bridge from Christmas Island and the video of the Tacoma Narrows bridge collapse. Jeffrey also had them build their own bridge using dried spaghetti noodles and marshmallows. The kids did a great job! Thank you to Ben Franklin Elementary School for having us!